Any time Diamond Select Toys are at a convention, their booth is well worth checking out. Countless figures, dioramas, and other collectibles will be on display, giving you an idea of what they have available now and what will be coming soon. At this year’s C2E2, that will likely still hold true, but they have something else cooked up too: they’re hosting a panel. Good friend of the site Zach Oat, Diamond’s Marketing Supervisor, will moderate a panel displaying some of the company’s upcoming products, along with opening up the floor to a Q&A and even giving out a door prize or two. So yeah, if you’re going to be in the Windy City for the convention this weekend, this will be a must see. 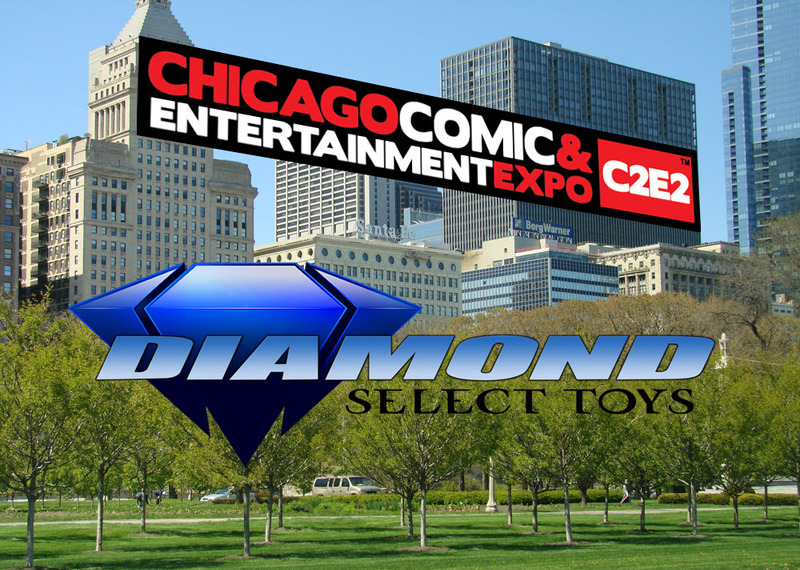 Diamond Select Toys, currently celebrating its 20thbirthday, is returning once more to Chicago to participate in C2E2, the Chicago Comics and Entertainment Expo! From Friday, March 22 through Sunday March 24th, DST will be selling some of their latest releases at Booth 807, showing off upcoming products and even hosting a panel! C2E2 will be held March 22-24.